Neuralgia describes a variety of rare and painful conditions in which shooting, stabbing, burning, pain; electric-like shocks; or tingling, pins and needles, or numbness occur along the course of a nerve, usually in the head or neck. Neuralgia attacks tend to by cyclic, often coming and going without warning. They can last for minutes, hours, days, or longer, depending on the patient, and range from mild to debilitating. Often, no physical cause can be found, although some forms of neuralgia may be triggered when nerves are compressed by injuries, arteries, tumors, or, in rare cases, as the result of nerve damage from multiple sclerosis. 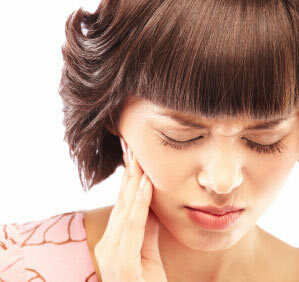 Neuralgia is an uncommon condition, with trigeminal neuralgia occuring most often. Other types are occipital neuralgia, glossopharyngeal neuralgia, and postherpetic neuralgia. Most neuralgia patients are 50 or older, although younger patients can be affected as well. Most neuralgias appear suddenly, with no apparent physical basis for the pain, which can be severe. Other neuralgias may follow an injury, with pain, burning, tingling, or numbness in whatever part of the body the affected nerve supplies. Most TN patients are 50 or older, with more women affected than men. Early attacks are short—one to two minutes long—but excruciating, with stabbing, shooting, pain on one side of the face. The location depends on which branch of the nerve is affected. At first, weeks or months separate incidents, but as the condition progresses the time between attacks shortens. Eventually, the area becomes hypersensitive, and painful bouts can even be triggered by eating, drinking, talking, cold, or even touching the face. Glossopharyngeal is a relatively rare neuralgia, marked by recurring attacks of severe pain that occur for no apparent reason in the throat, ears, and neck. Glossopharyngeal neuralgia patients also tend to be middle-aged, but are more often male than female. The attacks can occur without warning, but, like other facial neuralgias, can also be triggered by sneezing, swallowing, talking, yawning, or clearing the throat. Occipital neuralgia is caused by pain from one of the two occipital nerves that supply the back of the head. Unlike TN or glossopharyngeal neuralgia, occipital neuralgia may occur in conjunction with muscle tension or migraine headaches, with the spasms of nerve pain on top of nearly continual aching. Although most neuralgias have no known cause, one type, postherpetic neuralgia (PHN) is only seen following an outbreak of shingles, a painful, blistering rash caused by the Herpes zoster virus, the same virus that causes chicken pox. Herpes zoster lives in nerve tissue, and never goes away, even after the initial outbreak of chicken pox has disappeared. Older people, especially those with weak immune systems, can suffer a relapse, with the rash appearing along the course of the nerve that is affected. This produces the searing pain of neuralgia, which can be made even worse by the touch of clothing, bedclothes, or another person. PHN and TN are the most common types of neuralgia. Physicians begin with a thorough examination, and often include a CT scan or MRI. These will sometimes uncover an artery or tumor that is compressing the nerve and creating the symptoms, but very often no obvious medical problem is found. 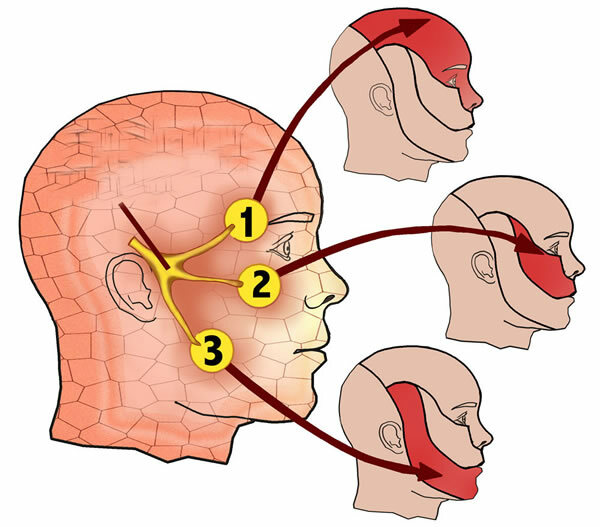 The patient has attacks of pain in the face that last less than two minutes. 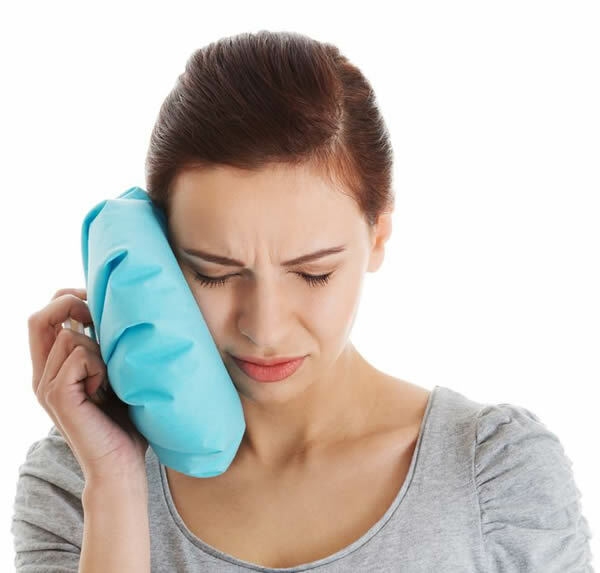 The pain follows the path of the trigeminal (or another) nerve. The pain is described as sudden, sharp, stabbing or burning, and severe. The pain may be triggered by certain activities. There are no symptoms between attacks. In many patients, TN can be positively diagnosed if the drug carbamazepine (Tegretol) diminishes the pain of an attack. Glossopharyngeal neuralgia is identified in the same way as TN, that is, the patient complains of stabbing, spasmodic pain that follows the Glossopharyngeal nerve. A positive diagnosis is usually achieved if the pain stops when the nerve is blocked with a local anesthesia. Occipital neuralgia is caused by pain from one of the two occipital nerves that supply the back of the head. Unlike TN or glossopharyngeal neuralgia, occipital neuralgia may occur in conjunction with muscle tension or migraine headaches, with the spasms of nerve pain on top of nearly continual aching. X rays and CT scans can help indicate if the nerve is compressed; numbing the nerve with anesthetics can pinpoint the cause. Trigeminal neuralgia was identified almost 2,000 years ago. Early treatments, like most medicine in those days, were mostly topical (applied to the skin) and ineffective. Today, the most effective treatments for neuralgia are allopathic, but alternative therapies may help support the patient’s general well being and improve overall health. B-complex vitamins, taken orally or given by intramuscular injection, are important for a healthy nervous system, and may supplement medical treatment. A whole foods diet with adequate protein, carbohydrates, and fats that also includes yeast, liver, wheat germ, and foods that are high in B vitamins is important. Essential fatty acids, such as flax or fish oil, may also help reduce inflammation. Some patients found that acupuncture was helpful in treating their neuralgia pain, especially that of postherpetic neuralgia. Others were unable to obtain relief from the procedure. Chiropractors can manipulate the jawbone, neck or spine to treat neuralgia pain. Like most alternative treatments for neuralgia, this is effective for some patients and not for others. Homeopathic treatment can also be tried. An experienced homeopathic practitioner will prescribe remedies to bolster the paitient’s general health, tailoring remedies to the patient’s overall personality profile as well as specific symptoms. The pain of neuralgia may also be relieved by hydrotherapy (hot shower or bath), deep massage, reflexology (massaging reflex points in the feet relating affected painful areas in the body) or yoga exercises. In addition, guided imagery, biofeedback therapy, and hypnosis may be beneficial. Patients should also consider t’ai chi, qigong, and other movement therapy. Patients may also be helped by transcutaneous electrical nerve stimulation (TENS), in which a weak electrical current applied to the skin interferes with the nerve’s ability to send pain signals to the brain. Although somewhat controversial, initial results, especially for postherpetic neuralgia, are promising. Once a diagnosis of neuralgia has been established, physicians prescribe drugs to alleviate the pain. The anti-convulsant drug carbamazepine (Tegretol) is often an effective treatment for TN, relieving or reducing the pain within a day or two. Unfortunately, it can also cause dizziness, drowsiness, nausea, and double vision, as well as other side effects. If Tegretol is not well tolerated, doctors can try another anitconvulsant, like gabapentin (Neurontin), antispasmodics like baclofen (Lioresal), or anti-anxiety drugs like clonazepam (Klonopin). These drugs are also frequently prescribed for other forms of neuralgia as well. Injecting local anesthetics into the nerve can stop the pain for a few hours, and for some patients this is effective for a much longer time. Lidocaine cream may be somewhat helpful in treating PHN, probably by temporarily desensitizing nerves just under the skin. Lidocaine may also help atypical forms of TN. Alcohol and glycerin injections that destroy part of the nerve (and thereby its ability to transmit pain) may also be an option. One particularly unpleasant, but evidently successful, method of treating neuralgia seems to be desensitization. This means that if a patient is bothered by the touch of clothing on the skin, the therapist may rub a towel briskly over the area for a few minutes. If the patient has trouble tolerating heat or cold, warm or cold water may be applied. Although initially quite painful, this method gradually diminishes the frequency and intensity of the patient’s pain, apparently by overwhelming (and eventually reducing) the nerve’s ability to send messages to the brain. For PHN, the best treatment seems to be prevention. People with shingles should see a doctor as soon as the rash develops so they can receive treatment to ease the severity of the outbreak and minimize the risk of developing postherpetic neuralgia. It is not clear, however, whether treatment can prevent subsequent neuralgia. If PHN does develop, TCAs—especially amitriptyline—are often helpful. It’s important to stress, though, that early attention to either a shingles outbreak or PHN episode will reduce the incidence and severity of future attacks. Some patients receive complete pain relief after treatment. Others are able only to reduce the pain (to greater or lesser degrees), while for a very few treatment is completely ineffective. For these patients PHN becomes a lifelong, chronic condition; most cases, however, moderate on their own and disappear within five years. In 2002, clinical trials showed that gabapentin (Neurontin) was effective in treating patients with PHN with relatively low adverse effects. As a last resort, surgery may bring relief for those neuralgia patients not helped by pharmaceuticals. Most procedures try to reduce the nerve’s ability to send pain signals to the brain. One of the most promising is dorsal root entry zone (DREZ) lesioning, which uses radio frequency to disrupt the nerves that are causing pain. Some studies showed that as many as 80% of DREZ patients were helped. Only a few neuralgia patients will not be helped by some combination of drugs and surgery. PHN, in particular, tends to fade away on its own, and only 2–3% of patients have pain that lasts a year or longer. For those unfortunate few, however, PHN can become a lifelong, debilitating condition.